Governor Terry McAuliffe today announced the establishment of a new $1.8 million housing support pilot program that will provide additional assistance to Fostering Futures participants in Richmond and Charlottesville/Albemarle County. Governor Terry McAuliffe today announced new leadership in the Office of Intermodal Planning and Investment (OIPI). The Office of Intermodal Planning and Investment is located within the Office of the Secretary of Transportation. Governor Terry McAuliffe today broke ground on the I-64 Southside Widening and High Rise Bridge Project, the largest design-build project to date for the Virginia Department of Transportation with a contract worth nearly $410 million. Governor Terry McAuliffe today signed conditional pardons for 6 Virginians who were given sentences that were excessive and unjust in relation to the crimes for which they were convicted. Governor Terry McAuliffe today announced $1.1 million in Homeless Reduction Grants through the state’s Housing Trust Fund for 13 projects in Virginia. Governor Terry McAuliffe announced $978,559 in grants through the Virginia Telecommunication Initiative (VATI) for the counties of Albemarle, Culpeper, Mecklenburg, and Spotsylvania. Governor Terry McAuliffe announced that there have been $1.4 billion in private investments towards Virginia’s tourism industry since he took office in 2014. The Commonwealth’s tourism industry also saw $2.2 billion in total growth during the McAuliffe administration. Governor Terry McAuliffe cut the ribbon for the new Virginia Department of Veterans Services office at The Pentagon in Arlington. This new office will serve the thousands of veterans and transitioning servicemen and women and their families who work in the headquarters of the US Department of Defense. Governor Terry McAuliffe announced that $3.15 million has been awarded by the U.S. Department of Commerce’s Economic Development Administration (EDA) for the construction of the Commonwealth Center for Advanced Manufacturing (CCAM) Apprentice Academy. Governor Terry McAuliffe joined Governor-Elect Ralph Northam Monday to unveil a new brand to unify Virginia’s workforce development system. The system, which includes a network of state and local partners and 62 One Stop Career Centers, will carry the name Virginia Career Works. Governor Terry McAuliffe announced he is recommending $3,142,588 in Appalachian Regional Commission (ARC) grants for 10 projects in the Appalachian Region of Virginia, which encompasses 25 counties and eight independent cities in Southwest Virginia. Governor Terry McAuliffe announced $2,149,346 in Community Development Block Grant (CDBG) funding for four projects in Virginia. This funding will support projects that improve sewer infrastructure and foster economic development in localities across the Commonwealth. Governor Terry McAuliffe commuted the death sentence of William Burns to life in prison without the possibility of parole. Governor Terry McAuliffe’s political action committee, Common Good VA, has invested $150,000 in the Democratic Party of Virginia voter protection program. Gov. Terry McAuliffe announced the first round of project awards under the DuPont Waynesboro Natural Resource Damage Assessment and Restoration settlement. The USDOT has issued its approval to provide a $1.2 billion TIFIA loan for the I-66 Outside the Beltway public-private partnership transportation project. Governor Terry McAuliffe announced that QubicaAMF is the recipient of the 2017 Commonwealth of Virginia Governor’s Award for Excellence in International Trade. Gov. Terry McAuliffe announced the opening of applications this week for the first Virginia Management Fellows class. Governor Terry McAuliffe announced $6.1 million in grants to enhance emergency preparedness and security throughout the Commonwealth. Governor Terry McAuliffe announced the application launch for the first Virginia Management Fellows class. Governor Terry McAuliffe comments after the announcement of President Trump’s Executive Order designed to undermine the Affordable Care Act. The Virginia Sexual & Domestic Violence Action Alliance accepted a donation of $57,535 from Gov. Terry McAuliffe in support of ending sexual and domestic violence and sexual harassment statewide. 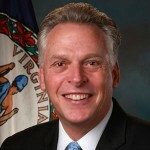 Governor Terry McAuliffe will lead a four-day trade and marketing mission to Japan from October 11 – 14. Governor Terry McAuliffe celebrated the opening of a new One Stop Career Center in Winchester during a ceremonial ribbon cutting. Governor Terry McAuliffe awarded $6 million in School Security Equipment Grants to protect students and teachers in 104 school divisions. Governor McAuliffe announced the release of a Request for Proposal to deploy an interconnected and statewide public electric vehicle charging network. 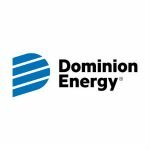 Governor McAuliffe this week announced the permit for a new solar facility to be built in King William County. Gov. Terry McAuliffe comments on the Trump Administration announcement that it will limit the Affordable Care Act mandate on birth control. Governor Terry McAuliffe today announced that he has directed his public safety team to draft and introduce gun safety legislation for the next General Assembly to pass. Governor Terry McAuliffe announced $240,000 in Community Business Launch awards for four communities in Virginia. Governor Terry McAuliffe announced the release of a grant round, administered by the Virginia Land Conservation Foundation. Governor Terry McAuliffe celebrated the opening of the new Virginia Department of Veterans Services office on the College of William & Mary campus. Gov. McAuliffe announced the opening of new Heavy Construction Workforce Development programs at NVCC and Lord Fairfax Community College. Gov. 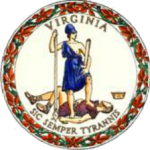 McAuliffe sent a letter to Virginia’s delegation in Congress urging members to vote against the Sportsmen Heritage and Recreational Enhancement Act. Governor McAuliffe held the first Asian American and Pacific Islander Summit at George Mason University’s Arlington Campus on Friday. The Virginia School Board Association honored Governor Terry McAuliffe with the 2017 Legislative Award of Excellence. Governor Terry McAuliffe today announced $2.7 million in new federal Local Emergency Management Performance Grants. Gov. Terry McAuliffe recognized businesses for their ongoing commitment to creating employment opportunities for Virginia’s military veterans. Governor Terry McAuliffe today announced that he is making $1.5 million in grant funding available through the Department of Criminal Justice Services. Gov. Terry McAuliffe will join Maryland Gov. Larry Hogan and D.C. Mayor Muriel Bowser for a two-day tourism marketing mission to Canada. Gov. Terry McAuliffe was honored this weekend at PrideFest for his record of standing in strong support of the LGBTQ community. Governor Terry McAuliffe on Friday operated unmanned systems in three domains – air, land, and sea – during a technology demonstration.